In its second decade, we are updating how we bring new things to you in EVE Online. Instead of doing two big expansions per year, we are moving to a model where we do about 10 releases per year - or one release every 6 weeks. In general each of those releases will be smaller than what you have seen with our expansions, but overall we will get you more per year and an overall better EVE Online because of the two big benefits this new model brings: Smaller and medium size features get to you faster, and we can make bigger features and changes to EVE Online because these can take the time they need to mature before going out, without needing to time a rare expansion. Read on for more details about why we are making this change, how this new model works, and how we reasoned within this new model when we decided to move our upcoming industry features one release forward. This new way of updating EVE was announced in the EVE Online keynote at EVE Fanfest 2014, and you can watch the introduction to the new release model there. What is changing, and how will the new model work? About every 6 weeks, we will make an update to EVE Online. Each update contains all the changes that are ready for release. Some of those changes will be small things that were created in the month since the last release, but some of them will be bigger features that were created over a longer period of time and were ready to go out in time for this particular release. You will know about a month in advance what is coming in the next update. For bigger features and changes that we develop with feedback from the community, we will talk about broad timelines for when we expect them to be released and, as we get close to completion, we will pick and announce that the feature is coming in a particular release. This will mean a lot more communication on our end—something we’ve been striving towards anyway. We are naming these updates after the titans of Greek mythology so that we all have a way to reference a certain release, but the names don't reflect what's in the release. We have planned release dates for the rest of 2014 and well into –2015. Some of them will shift around a bit, but all you really need to know is that we are releasing about every 6 weeks and to keep an eye out for news of what features are coming in the next release - in our news channel, via devblogs, in email newsletters and on social media. These releases are a bit like a train that leaves for Tranquility every 6 weeks - when a feature is ready to go there, it hops on the next available train. When we have bigger things going on, we will make videos and other materials about it to show it off and spread the news - but we will focus on either some big feature we have in the making or on EVE Online in general - not the combination of all changes we are making in a certain release. You'll still see cool videos from us, along more frequent communication about what is currently in development or newly released. And we'll still update the graphics in the character selection screen when we think something new in the game deserves it! 10 years of expanding EVE - why change now? EVE Online has always evolved in response to what players do in the game, and for the first ten years of EVE, making updates to an MMO twice per year was actually a pretty fast release cycle. Each expansion could extend the game with sizable additions of new systems and features, and also respond to what players were doing with the features already in the game. As EVE turns 11, there are now a lot of things in the game, which is one of the keys to how EVE works as a game world where many different play styles fit and combine to a bigger experience of the living universe of New Eden. But it also means that the game is now so big that if we take six months of development and only focus on one area of the game, everyone whose play style isn’t affected by those changes would effectively be down to only one update in the year, or even less in case the other expansion in that year also didn’t have much for their play style. Having such a large game also means that making big changes carries more risk - both from a design perspective and a technical perspective.Six months is not enough development time to make big changes to most systems in EVE today, so in the "two expansions per year" model, any project taking longer than a few months of development would potentially take 1,5 years to reach you in case it took just a little bit longer than planned and missed the expansion released after 12 months of development. This kind of setup forced us to be a bit too conservative in some cases, and we don't want to be conservative with EVE Online! We want to bring you all the coolest sci-fi dreams we have always had for this game. Another big reason for us to change the release model is that today we have much better tools for managing and releasing changes to EVE. We can create and deploy small patches very quickly, and we have many improved tools and processes internally that mean that small and medium-sized features really don't need to sit around and wait for the next expansion. We want to get them into your hands as soon as they are ready! In the past, releasing an update to EVE Online required a lot of work, so it was smartest for us to gather up all the changes we had in two big releases per year. Now that releasing updates is easier, we are changing to a model that is much better for the development style we want – getting stuff out as soon as it’s ready, and being able to take on bigger things. When an update to the game goes out as often as every six weeks, instead of every six months, it changes a lot of things about how we create features in EVE Online. Those of you familiar with software development in large projects will recognize many things going on –below. This is an attempt at explaining some of the aspects to those who are not so familiar with it, but curious about how game development happens behind the scenes. The first and simplest way a team can work to make changes to EVE is to make some small and well-contained change that they test on their own developer machines and, when they are happy with the state of it, they put the change into the main code repository for EVE Online. When the next release is going out, this change will be part of it. It hits the test server, and then Tranquility, together will all the other changes made in the same way. This is how lots of work happened in the –past. We planned for all the things that should go out in the next expansion, did most of the work in the same place, and had it all go out together. If we sometimes released features that had some problems, it was likely because we only had the choice of delaying everything in an expansion, not just a certain feature. With the new model, the only changes that are worked on like this, are changes that are small enough that we are sure they will be good to go out with the next release in a few weeks. Examples of these kinds of changes might be tweaks to the UI or balancing. The second way is what we use if a team has a bigger feature that they need to develop gradually, perhaps breaking or removing existing functionality before they are done with the new stuff. To do that, they go off and make their changes in a separate copy of the EVE Online code. Once they are done with their work and feel ready to add the changes to EVE, they bring their work back to the main codebase again. Those changes are then picked up and go out to the test server and then to Tranquility together with all the rest of the changes that others might have worked on during the same time period. In the past when going off to work separately like this, a team still had to pick when which date a feature would go out, which is hard to do and can lead to conservative projects. An example of this kind of change could be something about the size of the new ghost sites we released with Rubicon, all the way up to the full set of related industry features we are working on at the moment. There is also a third way that is, in some ways, the most important way, because it is the model that lets us get really ambitious. Sometimes we want to get feedback on a set of changes before we decide that we are ready to actually make those changes to EVE. This was rather hard to do in our past model. If we want to do this, we start the same as in the second model - we go and make those changes in a separate copy of the EVE code. But we can now show that separate copy of EVE to you by putting it on Singularity, get lots of feedback, and then go back and take as long as needed to make whatever changes we want to make based on the response we get. Only when we decide something big is really ready, would we then actually add the changes to EVE Online and have them go out in the next release a few weeks later. This approach is what lets us plan for large and ambitious –changes. We know we can work internally for as long as needed, and we know that we can show things to you before we commit to the changes we are working on. The whole development team is really excited about this, because it opens up so many new possibilities for us to go for bolder and more interesting changes to EVE, with much better support for managing the risks involved with being more ambitious. This means that you will start to see builds of EVE Online on our test server that have features that might not be going out right away - we will ask you to have a look at things earlier, and we will have the time needed to address feedback. 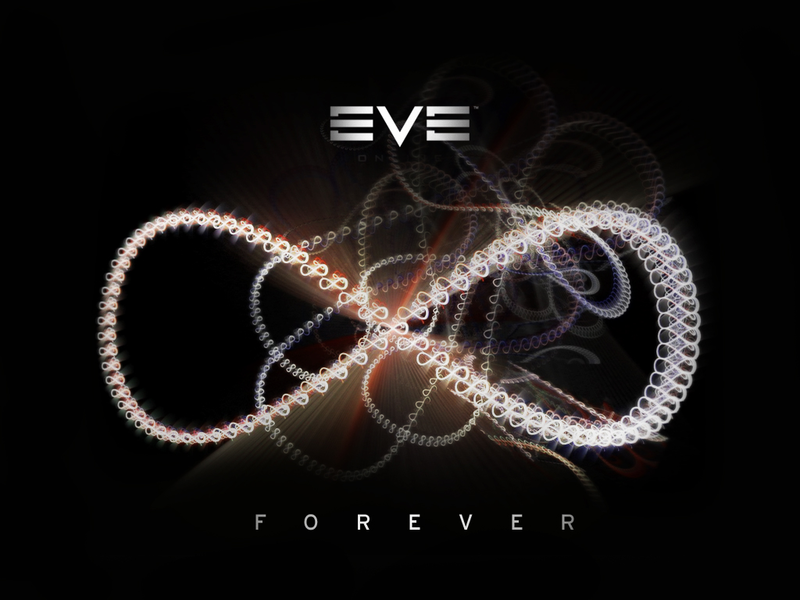 We are excited because we know it means we can bring you better changes to EVE. All of the features that we talked about at Fanfest as being planned for the Kronos release on June 3rd were planned in the same way as we used to plan for expansions, but they were worked on in the new way described above. That means that all of the industry changes are in their own copy of the EVE code, and the rest of the features announced for Kronos are not tied to the industry changes. When we published all the blogs about the features and talked to people at Fanfest and on the forums, and we got lots of good feedback from players. We realized that we needed more time to both address some of that feedback, and make sure we had enough time on Singularity to draw out any sneaky or unexpected problems with this massive change to a core feature of EVE. This change in how we update EVE Online is an important part of how we will bring about some of the biggest changes EVE Online has seen in years, as part of our vision for a universe more and more controlled by capsuleers, all the way to them mastering the technologies of space travel and breaking out of the known universe. The line of titan releases marching your way will bring more and better EVE to you, more often. Expansions were for the last decade - expanding EVE with release after release after release is what we'll do in this decade. As we make this change, we want your feedback - tell us what you think and ask questions in the comment thread!